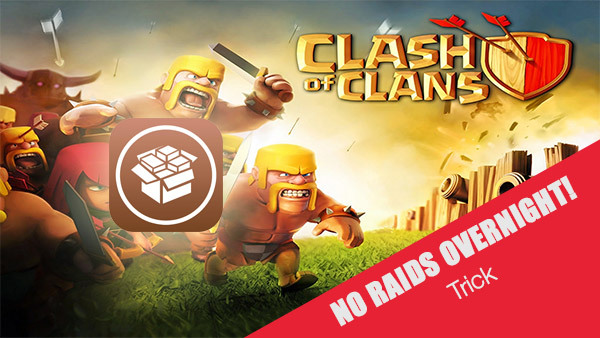 Here’s a handy little Clash Of Clans raiding strategy trick that works on jailbroken iOS running on an iPhone, iPad or iPod touch device. If you are one of the many millions of mobile gamers across the globe who have been taken in by those expensive and elaborate TV promotions for the extremely popular Clash of Clans games, then the chances are that you are wanting to take your experience seriously. Clash of Clans has developed quite the cult following across the world, so much so it has known to cause some sleepless nights. If you’re troubled by having to wake up every few hours at night to see your base raided, you’ll be glad to know that if you are running the game on a jailbroken iPhone or iPad, then there’s a little trick to ensure that you never get raided. The whole process basically requires the installation of two jailbreak tweaks from Cydia, and best of all, they are both available for free, so you don’t need to worry on that front. Without any further, here’s exactly how you can make this work. Step 1: First up, if you haven’t already installed the Activator package yet, then you need to do it now. 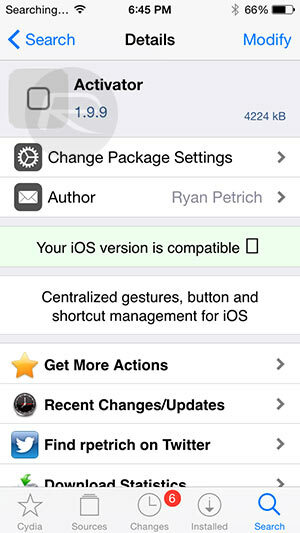 Simply launch Cydia, search for Activator, and install the package as you would install any other tweak. In all honesty, if you’ve been jailbroken for any length of time then you will likely already have this installed as it is a dependency for many other tweaks. Step 2: The second tweak that you will need to install is ByPass. This is a package that allows Activator to bypass the device’s passcode settings. Without this being installed, you’ll need to disable the passcode on the device, which is never a good idea. To install ByPass, search for it on Cydia and install the package in the usual manner. Step 3: Now with Activator and ByPass installed, head into the Activator preferences via the Settings app, then navigate to Anywhere > Build > Scheduled. Step 4: The trick here is to create multiple time events to allow Activator to kick into action by automatically launching Clash of Clans every 30 minutes or so. This is ideally going to be done when you’re asleep as you can’t launch the Clash of Clans app during that time. Create a number of time events with 30-minute intervals. So, as an example, if you typically sleep from midnight to 07:00AM, then it would be ideal to create an event at 00:30, 01:00, 01:30, 02:00 and so on. Step 5: Now once again in Activator, navigate to Anywhere > Scheduled > “time” > User Applications and select Clash of Clans to activate at that time. You will need to do this for the rest of the events created in Step 4 above. Step 6: Now, exit out of Activator and go to Settings > General > Auto-Lock. Change the device’s Auto-Lock settings to 30 Seconds. This will give the system enough time to wake the device, launch Clash of Clans and then have the Auto-Lock settings put the device back to sleep again. And there you have it. You are now good to sleep safe in the knowledge that you won’t get raided by others when you’re replenishing your own energy stores. It’s important to remember that this method may have a slight impact on battery life considering that we are essentially launching an app on the device every 30 minutes during the night. It’s better to have your phone plugged in at night if you plan on using this trick. Good luck!